2013/09/08 - Ephemeral Embrace thank after "Fijiputtana Or Die!" Fantastic night at "Fijiputtana or Die! Fest"!!! Thanks to all people and friends who came to support us and all bands who played with us during this fantastic festival! Thanks especially to all of the organizers of "Fijiputtana or Die! Fest"! We hope that festival like this could be made again in the future.. We're waiting for the Vol.2!!! 2013/08/31 - Ephemeral Embrace thank after "Happy Birthday Pier!" THANKS TO ALL!!! HAPPY BIRTHDAY PIER!!! We'll meet again on the 7th of september at "FIJIPUTTANA OR DIE!" with two temporary drummers! Simone will be recovering from surgery right away. 2013/06/17 - Ephemeral Embrace thank after "Metal Night"
Thanks for the evening of friday the 14th at Ta'Sì of Albino, were we've played, Ciao Pazzo Production, Adrenalin Dose and Wane! Thanks for the support, friendship and the enjoyment during the evening! Thanks even to all of you who came to listen us! 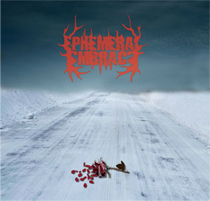 2013/02/03 - Out now the new demo "Ephemeral Embrace"
If you want a copy of our demo you can come to our concerts or contact us here.